All forms of corrosion begin on or near the surface. Unfortunately all fabricating and handling practices invariably degrade surface conditions and surface properties. Surface contaminants, including grease, dirt, iron, and other metallic particles are inherent to machining, welding and fabrication processes. Mechanical cutting, machining, handling and polishing will leave iron and abrasive particles embedded within a material surface. These surface contaminates disrupt the formation of stainless steels' naturally occurring corrosion resistant oxide layer and are often the origin site of corrosion. Electropolishing removes surface material and surface contaminants. Electropolishing dissolves free iron, inclusions, and embedded particles from the surface of the material surface. Electropolishing improves the near surface chemistry of stainless steel. Not only does it remove embedded particles and inclusions, it also improves the atomic ratios of the materials alloying elements. 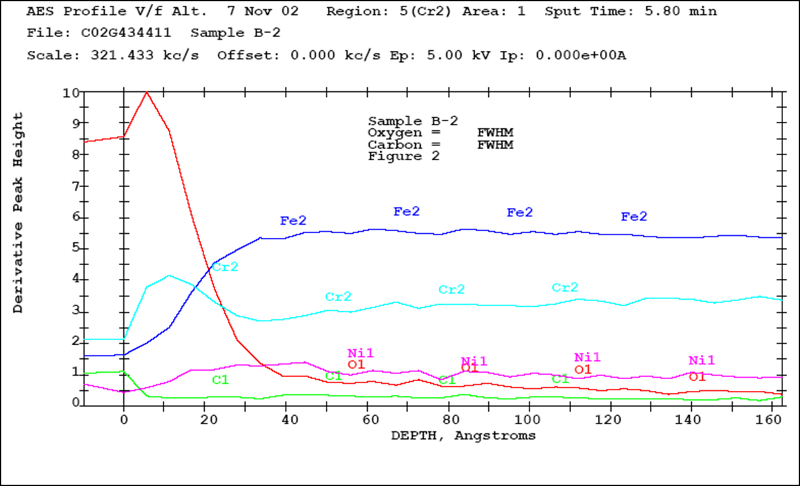 Figure 1 is an Auger Electron Spectroscopy (AES) analysis of an electropolished stainless steel. It shows the effect of electropolishing to the near surface atomic composition of stainless steel. Electropolishing preferentially dissolves Iron (Fe) from the material matrix and leaves the surface with a higher relative concentration of Chromium (Cr). This improved surface will form a thicker and more uniform oxide layer with enhanced corrosion resistance properties. The improved oxide layer resulting from electropolishing will have a Chromium to Iron ratio greater than 1.5 and a Chromium oxide to Iron oxide ratio greater than 2.0. The oxide layer will be thicker than 30 Angstroms. Electropolished stainless steels are better suited to resist the onset of pitting corrosion, crevice corrosion, localized galvanic corrosion, stress corrosion cracking and microbiologically influenced corrosion. Improved microfinishes can do more than improve the appearance of a part. Superior microfinishes can improve seals, lower friction, reduce real surface area, allow for easier sanitation, and improve heat and light reflection. The improved microfinish produced by electropolishing can reduce product adhesion and contamination buildup. Reduced adhesion can limit product build up and significantly lengthen duty cycles. When cleaning is necessary, cleaning operations can be completed in less time and with less effort. Electropolishing facilitates sterilization and maintenance of hygienically clean surfaces. Research by the USDA has indicated that electropolishing reduces the buildup of bacterial biofilms. 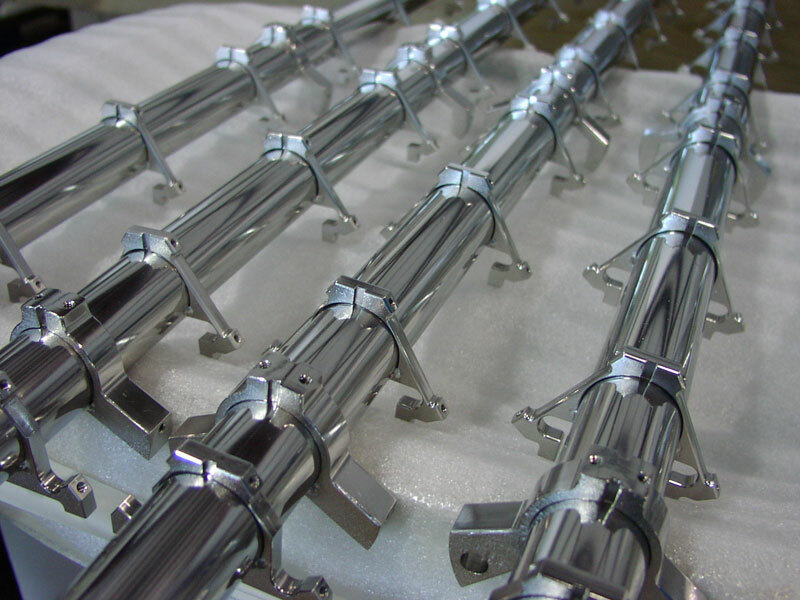 Electropolishing reduces the appearance of rouging on the inside surfaces of distillation columns, storage vessels, and distribution systems for hot purified water and clean steam. Electropolishing is naturally suited for deburring. During the electropolishing process, the current density is greater at high points and lesser at the low points within the surface profile. The rate of the electrochemical reaction is directly proportionate to the current density. The increased current density at the raised points forces the material to dissolve faster at these points and thus tends to level the surface. Electropolishing will simultaneously deburr and polish the surface. Grinding, vibration and tumbling techniques are often not suited for highly detailed or fragile parts. An properly controlled electropolishing process can remove burrs from such components. Because electropolishing is a non-mechanical process, there is no risk of distortion and the material hardness has no bearing on the processing time or cost. Burr removal by electropolishing is limited to burr sizes of 0.002" or less. Larger burrs require a longer process time to achieve the adequate material removal. These material removal levels may affect critical dimensions of the component. Large burr removal can be accomplished by first mechanically polishing the component then electropolishing. The most striking benefit of electropolishing is the resulting lustrous surface. Electropolishing is a non-mechanical process. No tools come in contact with the piece so there is no risk of creating directional polishing lines. The material is treated electrochemically, leaving a microscopically smooth surface that is highly lustrous.